Intracom Telecom activities in this domain address the need for more flexible and "smarter" electricity grids with the integration of decentralized energy resources and the completion of the internal energy market operation mechanisms. The company also implements technology that facilitates energy efficiency initiatives. RESOLVD is a 3-years collaborative project, co-funded by European Commission, under Grant Agreement 773715. The project aims to improve the efficiency and the RES hosting capacity of the electricity distribution networks, in a context of highly distributed renewable generation and storage, by proposing innovative Distributed Storage Systems that enhance flexibility and control in the low voltage grid, as well as hardware and software solutions that improve its observability with wide area monitoring capabilities, demand/production forecasting and automatic fault detection and isolation. Intracom Telecom's role is to provide a platform that integrates legacy systems of the Distribution System Operator (e.g. SCADA, AMI) and newly developed hardware and software applications, and handles data management and analytics processes. 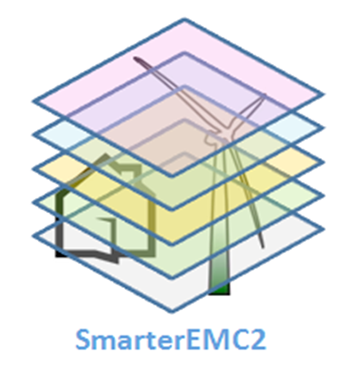 The project SmarterEMC2 implements ICT tools that support Customer Side Participation and RES integration, and facilitate open access in the electricity market. These tools take into account the SGAM as well the future structure of the Distribution Network as described by the relevant EU bodies and organizations. The project supports standardization activity by proposing adaptation to data models of market-oriented standards (e.g. IEC 62325-351) and field level standards (e.g. IEC 61850). Intracom Telecom is the coordinator of this project, and is responsible for the implementation of the ICT infrastructure related to a Demand Response service. Modern DSOs are in need of novel tools and methodologies that will enable them: to perform cost / benefit analysis regarding the incorporation of different technologies and the adoption of various emerging added-value services into the Distribution Grid modus operandi; to decide on the technically credible and economically viable operation of the Distribution Grid, especially in light of the presence of a large number of intermittent production units and while operating in island mode; to decide on the composition and functional characteristics of the various types of production units, as well as to the planning, scheduling, operation, supervision and control of the various assets of the Distribution Grid; and, to dynamically shape the load-curve in order to respond to the production conditions and dynamic conditions of the Distribution Grid. In the light of the above, the aim of the project is to develop a toolbox that will facilitate DSOs in the fulfillment of their tasks, both in the planning and at the operational phase. Intracom Telecom is the Coordinator of DSO Toolbox. From a technical perspective it participates in the implementation of a tool for techno-economic analysis of the impact of incorporating different technologies and added-value energy services into the Distribution System modus operandi; a tool for the operation of the Distribution Network at emergency conditions; and a tool for power quality monitoring in a Distribution Network. Finally, Intracom Telecom implements an Enterprise Service Bus for information? and services? integration and interoperation within the DSO?s IT ecosystem. DAMAZO was a project coordinated by Intracom Telecom dedicated to the development of a Building Energy Management solution that supports interaction with Demand Response Automation Server and applies the concept of Application Service Provision in Demand Response services. In this project Intracom Telecom delivered the Demand Response Automation Server, supporting OpenADRv1.0 standard and including a prototype Demand Response policy engine.